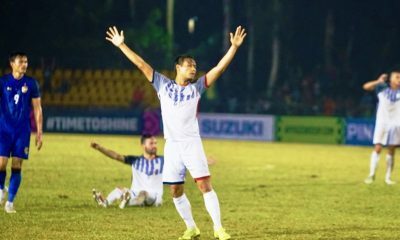 Hong Kong-based team Kitchee Sports Club put a dent into Kaya Football Club’s hopes of advancing to the 2016 AFC Cup knockout round when substitute striker Karima Hirokane scored at the 85th minute to let the away side take home all three points today (April 26, 2016) at the Rizal Memorial Stadium in Manila. The final score was Kaya, 0-1, Kitchee. 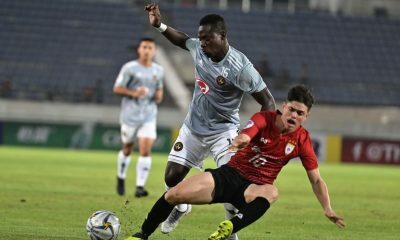 The home side struggled to impose themselves in the first twenty minutes of the game. Kitchee’s backline successfully repelled whatever Kaya threw at them. Kitchee stayed compact and this stifled Kaya. Not only were Kitchee secure defensively, they also manned possession more than Kaya. Kaya were very much on the backfoot as they were forced to have ten men behind the ball. With possession came chances for Kitchee. Kitchee midfielder Lam Ka Wai had a free kick cleared and another one caught minutes later by Kaya goalkeeper Matthew Acton. Considering that they were under pressure, Kaya kept their positional discipline at their box and this forced Kitchee striker Rufino del Burgo to hit the side netting. Things didn’t get any better for Kaya. One of their better moves started by Alfred Osei ended up getting intercepted by Kitchee’s center-back Fernando Recio Comi. 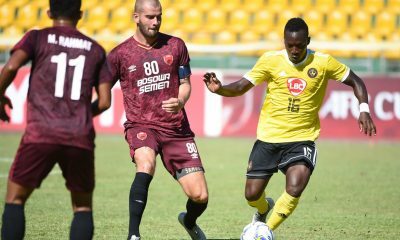 Comi then showed his ability to play the ball from the back when he released a pass that let Jorge Parama through against Kaya defender Shirmar Felongo. Parama then crossed the ball into the Kaya box, but Rufino failed to hit the target with his header. Lucky break for Kaya. Two consecutive free kicks then came Kitchee’s way after some silly fouls by Osei and Oj Porteria. Both Osei and Porteria were given yellow cards for their endeavors. Luckily for Kaya, Kitchee failed to convert at least one of those free kicks into goals. The away side were firmly knocking at the door for the opening goal. It very much looked like a matter of time despite the fact Acton was only forced to make one routine save at this point of the game. Kaya finally made Kitchee goalkeeper Wang Zhepeng work before halftime. However, Zhepeng only had to collect crosses which came his way as he was a virtual spectator in this period. What also didn’t help Kaya was that their forwards found themselves offside when they were set through on goal. 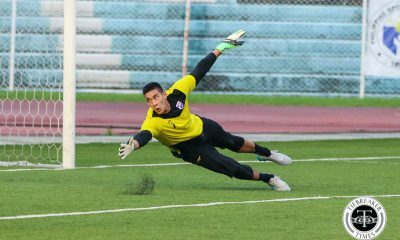 Kaya finally mustered an attempt on goal after Porteria’s shot was deflected out for a corner. Kitchee then cleared the eventual corner. It finished scoreless at halftime which was a fair outcome with the run of play. Once the second half kicked off, it noticeably became a more open game between Kaya and Kitchee. Both teams finally tested each others’ goalkeepers. 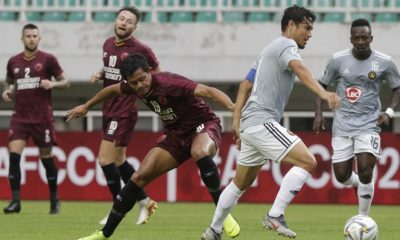 Acton was called into action when Kitchee midfielder Huang Yang tested him and the former comfortably dealt with the latter’s attempt. At the other end, Kaya finally had their sniffs at goal. Porteria and then Masanari Omura had two successive shots on goal, but Zhenpeng saved both. Just moments later, Jovin Bedic unleashed a wicked volley only for Zhenpeng to parry it away. Perhaps the best chance of the game fell to Kitchee. Rufino found himself unmarked at the far post in Kaya’s box. Unfortunately for Rufino, though, he squandered the opportunity when he miscued the cross that came his way. Nonetheless, Kaya had all the momentum at this point in the match. Bedic, in particular, became lively as he unleashed a shot that just went over the bar. With only twenty minutes left in the match, Kaya pushed forward for the winning goal. It was the men in yellow who were getting closer and closer to that opener. Substitute Louis Clark had a penalty shout waved off by the referee. That initiative, though, left Kaya open to counterattacks. Kitchee could have pulled off a sucker punch with just ten minutes left when Rufino, again, found himself unmarked. Maybe because of rush of blood, Rufino directed his header straight at a grateful Acton. The twist of the tale was yet to come. Against the tide of Kaya’s momentum, Kitchee won themselves corner kicks at the right flank. At the last try, Lam Ka Wai’s delivery hit Kaya’s crossbar and rebounded towards Hirokane who then calmly slotted the ball home at the 85th minute. Jorge Tarras Parama could have doubled Kitchee’s lead if it weren’t for Acton’s heroics as the latter parried it away for a corner. Kaya pushed for a last-minute equalizer deep into stoppage time. However, Zhenpeng was relatively safe and Kitchee held on to take all three points back with them to Hong Kong. Joel Villorino, Kaya head coach, said after the game, “Nung first half we controlled the game, then later on napansin nila laro namin. Napaka-experienced ng grupo na ito. As much as possible walang corners kasi yun yung strong point nila eh. Walang recovery nangyari sa depensa namin. Unexpectedly may tao talaga, no one blocked the attempt. 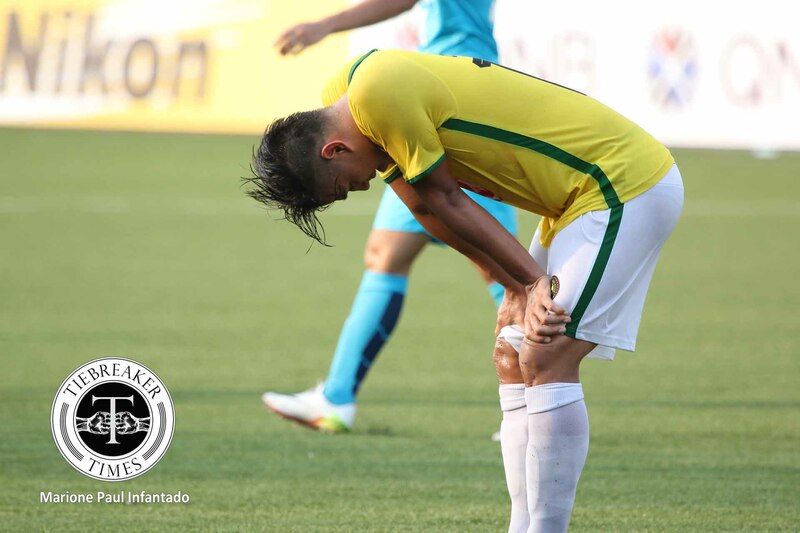 Unlucky, that’s it.” Villorino then retained hope that Kaya will still be able to top Group F.
Kitchee’s win allowed them to take 1st place of Group F at 10 points. In contrast, the loss relegated Kaya to 2nd place with 9 points. All is not lost for Kaya as they are scheduled to face New Radiant away at the Maldives on Tuesday (May 10, 2016).